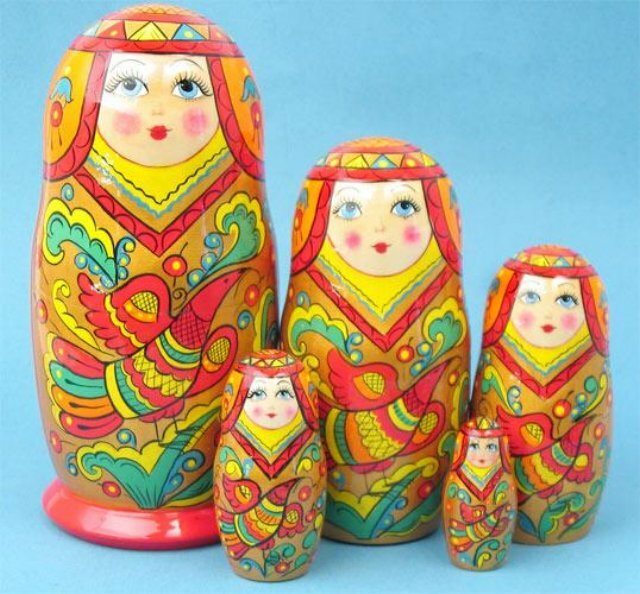 This Nesting Doll is a vivid example of traditional style of the northern regions of Russia. Unusual form of the Doll and peculiar coloring are distinctive features for the Severo-Dvinskaya matreshka. A set of 5 dolls, the biggest doll is about 7" tall. These marvelous nesting dolls are hand made in Russia.